"When you place at the center of the world economy the 'God of Money,' that's terrorism against all humanity." In an interview on his flight back from World Youth Day in Poland, where he also visited the Auschwitz death camp, Pope Francis related to the issues of terrorism and capitalism in the world today, even implying a comparison between the two, as reported by NBC News. He said that it is "unfair" to equate 'Islam' with terrorism, claiming that every group has its extremist factions: " "I don't like to talk about Islamic violence. Not all Muslims are violent. In every religion there are small groups of fundamentalists." "We [Catholics] have them, too. So it's not fair to identify Islam with violence and terrorism. It's not fair, and it's not true." 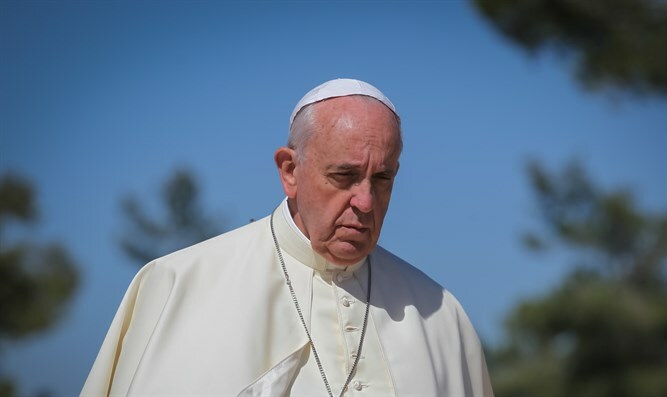 Further attempting to downplay a connection between Islam and terrorism, the Pope implied that capitalism, if anything, is a type of terrorism. His words come at the end of a four-day visit to Poland to mark the Roman Catholic Church’s World Youth Day. During his trip, the pontiff visited Auschwitz-Birkenau, the former Nazi death camp that is now a museum and memorial, where he prayed silently and met with Holocaust survivors.